Sharp Business Insights supported Tudor Markets, a leading market operator, with their business development and growth plans to extend their reach into new locations. We successfully supported the company to bid for Local Authority tenders for market operators in new prime locations across London and the South East; the South Coast and the Midlands. In addition, we introduced and continue to support their proposal and negotiations for the development of a market at a well-known international retail brand destination. Successful new markets that Tudor Markets now deliver include weekly traditional markets in Dudley in the Midlands, Redhill and Reigate in the South East as well as a Christmas market launching in 2018 at Portsmouth City Centre. To find out more about Tudor Markets visit their website. We were commissioned by Tudor Markets to provide project management support to deliver a high-profile place activation event in central London. 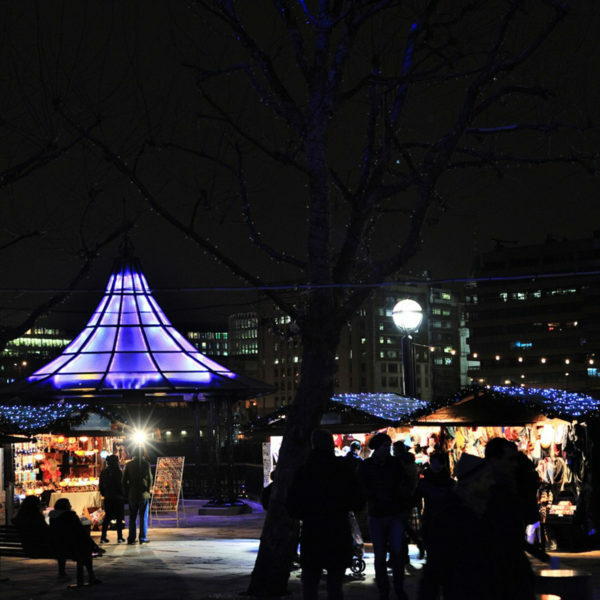 The event, Christmas by the River 2017, is delivered on behalf of Tudor Market’s client – London Bridge City Estate (Broadgate Estates). 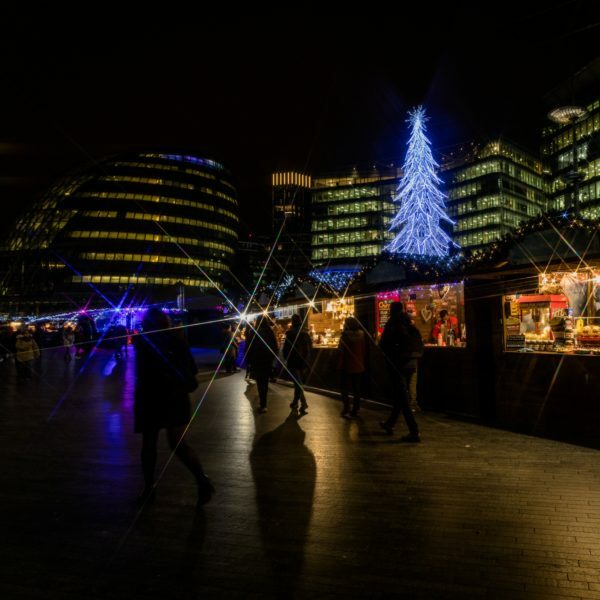 This was the fourth year that Tudor Markets were commissioned to deliver the Christmas Market event at this prestigious London location which runs in ‘zones’ connecting the south bank of the River Thames from City Hall, past HMS Belfast into Hays Galleria, culminating at London Bridge City Pier. We helped to define the proposal for the event and to project manage the pre-event delivery, including working with the landlords, Broadgate Estates, sourcing traders and securing timely generation of revenues, as well as finding solutions to activate the space at London Bridge City Pier which, in previous years, had been difficult to achieve. We actively sourced a new range of traders, designed bespoke space for Hilton London to house their Two Ruba bar and an entertainment area, and commissioned Tine Bech Studios see link below to design and install a bespoke interactive lighting-based art installation at the two listed Pagodas at London Bridge City Pier (the Pier). The installation helped to enliven the space and generate interest from the sight lines on the bridge and North Bank of the River Thames and along to the start of the event at City Hall. 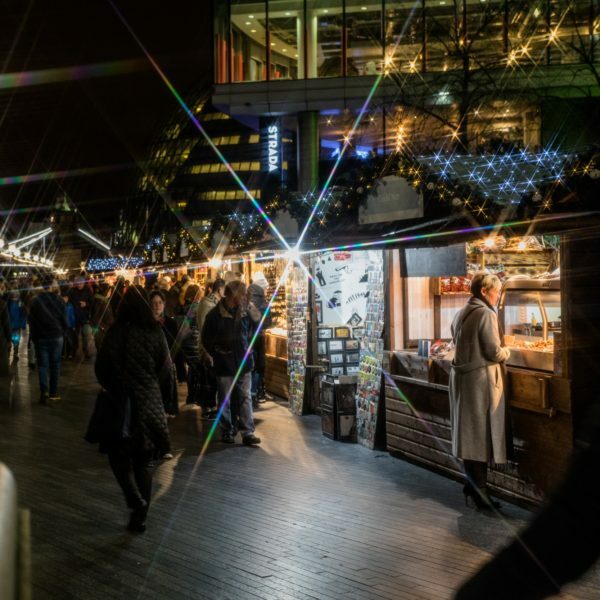 The Christmas by the River 2017 event generated increased interest from new and existing traders including at previously poorly activated locations such as London Bridge City Pier. 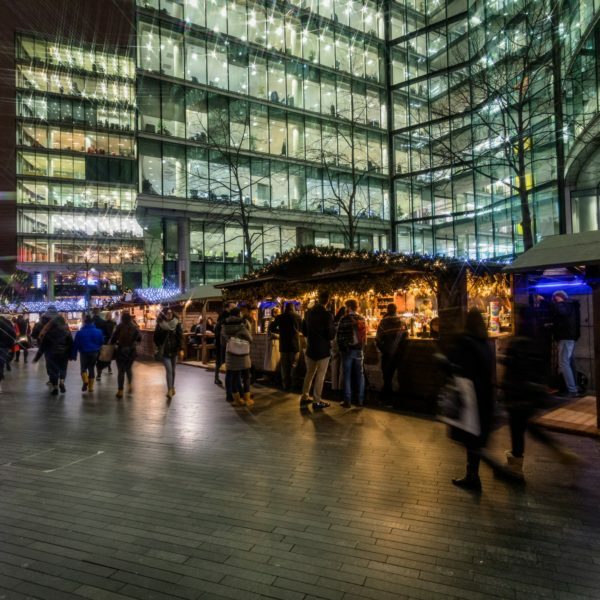 The support we provided generated more visitors across all zones than previous years, enabled the event to be well received by the end-client Broadgate Estates, and has received significant interest in re-booking from traders. We were proud to support Tudor Markets with their fourth successful event. With thanks to Stephen Johnson Photography and Tudor Markets for photography on this page and the black and white Tower Bridge photograph on the home page. With thanks to Tine Bech Studios for the main and bottom right photograph on this page. "We commissioned Sharp Business Insights to support us throughout 2017 and Lisa continues to support on a number of ongoing business development matters. Lisa’s business development skills helped us to successfully refine our approach to writing Local Authority tenders to demonstrate our experience and capability more readily. She introduced us to key contacts at and has led on supporting negotiations and helping us to secure an agreement with a prime retail client. 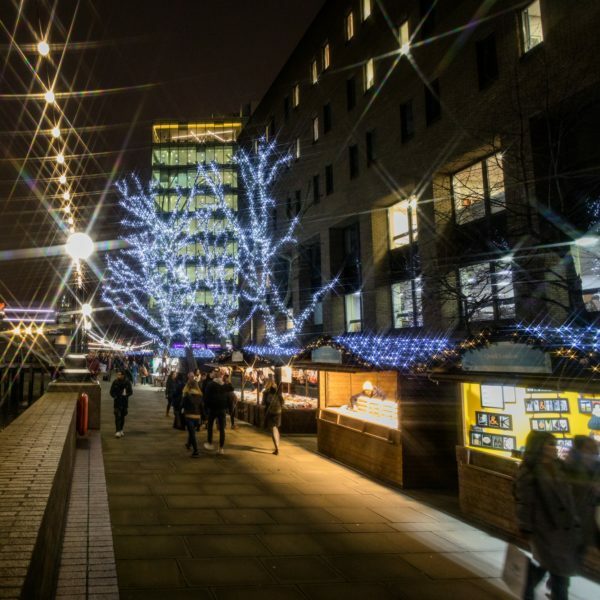 With her project management skills and support we delivered another successful Christmas by the River event at London Bridge City in 2017. Lisa has provided us with some useful strategic and business advice that has helped us put steps in place to further extend our business. We would happily recommend Sharp Business Insights, and Lisa." Design: Shelley Dobson @ Loft East Ltd. Photography: Most images are stock images unless otherwise stated. 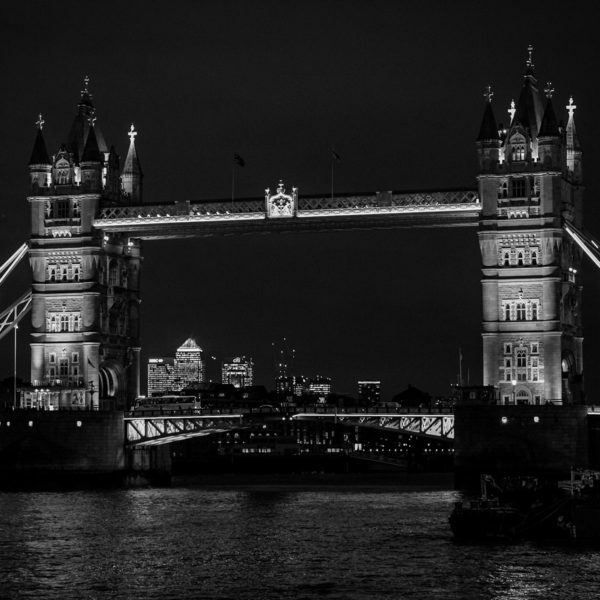 Stephen Johnson Photography: B&W Tower Bridge and in Tudor Markets case study. Tine Bech Studios: Additional photography in the Tudor Markets Case Study.